Keep hunger away and get the nutrients you need with these snack ideas. Throughout your pregnancy, you will hear about the importance of eating balanced, nutritious meals to keep you and your baby in optimal health, but eating mindfully shouldn't apply to just breakfast, lunch and dinner. 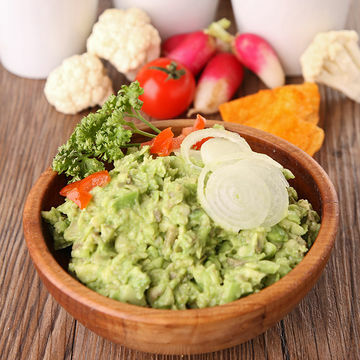 Here are seven healthy and delicious snacks that will keep you feeling satisfied between meals. 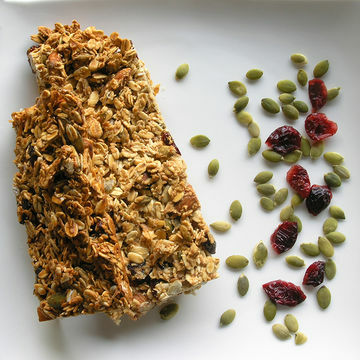 Make these granola bars during the weekend when you have a little extra time, then grab them on the go as a salty-sweet snack during the work week. 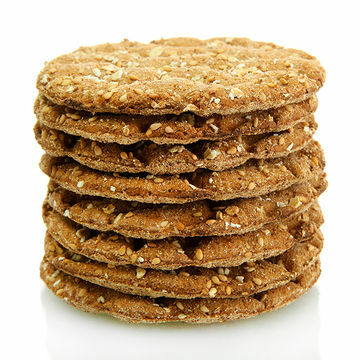 Packed with seeds, dried fruit and nut butter, they're meant to fill you up and keep you energized throughout the day. Crumble them over yogurt for a hearty morning snack or stash a few in your desk for a late afternoon pick-me-up. Lower calorie mini-meals, like this dip served with vegetables and pita, can help minimize indigestion and heartburn during your third trimester and will let you snack throughout the day without overdoing it. 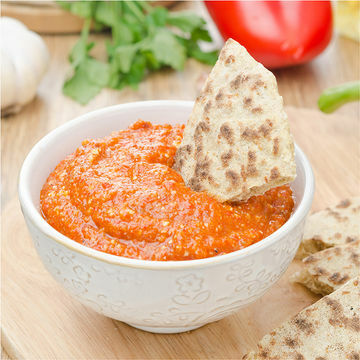 Blend grilled or roasted red peppers, canned white beans, olive oil, garlic and salt in a food processer for the dip that will keep in the fridge for at least three days. Serve with your favorite fresh veggies including carrots, cucumber, olives and cherry tomatoes and warm pita bread or crunchy pita chips. A perfect morning snack or warm-weather treat, this light fruit "split" uses low-fat vanilla yogurt, fresh bananas, berries, grapes and almonds to mimic the popular dessert without the fat, calories and sugar. 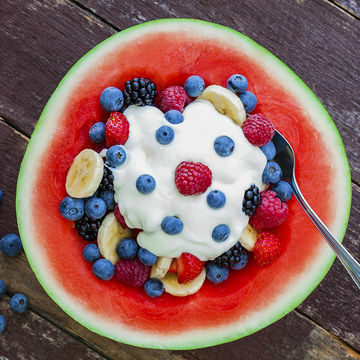 The addition of watermelon, a pregnancy super food, will help you and your baby stay hydrated and stave off morning sickness. Learn more about the benefits of watermelon here. 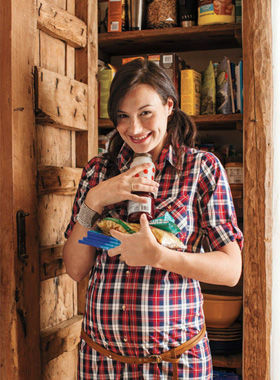 If you're having a particularly bad bout of morning sickness, it can be hard to keep anything down, let alone muster the energy to put together a substantial breakfast. Smoothies are a great way to load up on fruits and veggies in a matter of minutes and can be whipped up for a snack on the go or a bedside energy-booster. 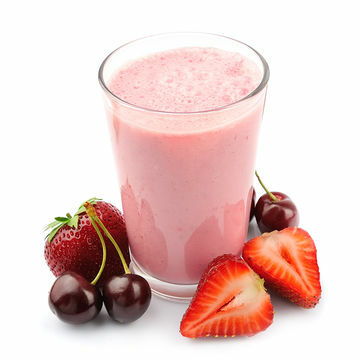 Blend frozen cherries, strawberries or your fruit of choice with soy milk or juice and almond butter or yogurt for thickness. Add a bit of maple syrup for sweetness or a handful of kale, spinach or carrots for an extra serving of veggies. These easy crisps take less than 30 minutes from start to finish and make nearly four dozen crackers. Combine whole wheat flour, butter, salt and shredded cheddar cheese for the dough and, once chilled, slice into rounds or use cookie cutters and cut the crisps into clever shapes before baking. Eat these crisps on their own or with hummus. This dip takes just minutes to make and can serve up to three people as a snack for sharing or to store for leftovers. Puree avocado, yogurt, tahini, lemon juice, scallion and salt and serve with fresh veggies including cucumber, bell peppers and thoroughly washed romaine hearts. To store the dip, squeeze a little lemon over it and press plastic wrap directly to its surface to keep the avocado from browning. 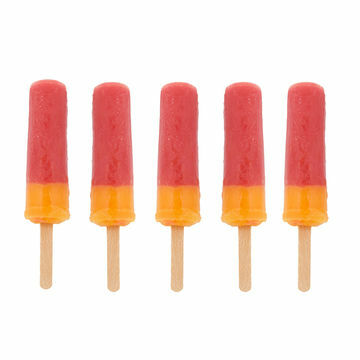 These refreshing pops make a perfect afternoon snack or healthy after-dinner treat and are a great way to use overripe fruit. Chop folate-loaded strawberries and blend with sugar, lime juice and water for the bottom layer of the popsicle. For the top layer, blend unpeeled peaches with sugar and low-fat buttermilk. Strain both mixtures and let them cool separately. Pour one mixture on top of the other and freeze in popsicle molds or clean, used yogurt cups.